PLEASE NOTE: You must be logged in as a subscriber to access the full text of article links below. by Todd Carpenter — Users have to be able to understand the differences between instances of what appears to be the same content. by Carol Anne Meyer — CrossMark which will launch in mid-2011 will provide a way to clearly mark versions of record and communicate information about their current status. by Lettie Conrad — There is strong support of standard versioning practices but a lack of consensus in a common approach. by Stevan Harnad — Stevan calls for self-archiving of peer-reviewed final drafts in the institutional repository immediately upon acceptance. by Joseph C. Fineman — Will copyeditors exist when they can no longer be paid from proceeds? by Sanford G. Thatcher — Is “good enough” good enough? I Don’t Know What it Means, But it Can’t Be a Good Thing by Bob Schatz — Bob points out that the library “tab” has moved off the main university homepage in too many cases. “What a difference a day makes:” The WEB and Digital Publishing in Hong Kong by Tony Ferguson — Tony talks about Hong Kong’s information institutions going digital. by Sara Killingworth and Martin Marlow — This second report on the eTextbook looks in more detail at technology’s role in the development of the eTextbook. by Rick Anderson — Distilled from an ALCTS Collection Management and Development Section Forum presented atALA Midwinter, January 2011.
by Roger C. Schonfeld — Is the discovery role really as vital as many directors indicate? Reviews of Reference Titles by Tom Gilson — The Encyclopedia of Political Science, and the Encyclopedia of African American History are two of the titles reviewed this month. Monographic Musings by Deb Vaughn — This month’s book review is about how video games draw us in and hold us spellbound. Chain of Title – Talkartoon Betty by Bruce Strauch — Fleischer Studios v. A.V.E.L.A et al and Righthaven LLC v. Realty One Group, Inc.
by Laura Gasaway — One of several questions this month asks if the library is responsible if a patron infringes copyright. At the Only Edge that Means Anything/How We Understand What We Do by Dennis Brunning — This is Dennis’own version of Rumors. Africa by Donna Jacobs — Donna takes us on safari with Naipaul and Kapuscinski. Confessions of a Reluctant Advocate by Steve McKinzie — Steve believes that it’s time to say no to federal dollars and to seek other avenues for support. Why Aren’t Faculty Complaining about Academic Libraries Not Buying Books? by Bob Holley — Do faculty still care about the library? A Tale of A Band of Booksellers: Fasicle 14 — Building and Computers in the Twentieth Century by Richard Abel — The continuing saga of the development of the Richard Abel Co. Collecting in the Cloud by Korey Brunetti and Lori Townsend — Email is great but there are many other tools that can make communication even simpler. Reports of Meetings — More reports from the 2010 Charleston Conference. University Press eBook Collections Coming Next! 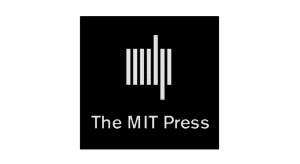 — The baby steps in the eBook market by university presses are about to change. Riding Shotgun with Tintin and Curious George by Scott A. Smith — Scott tells us about driving a bookmobile to students in Holmes County, Ohio. by Bruce Strauch — What do Edgar Allan Poe and Mary Higgins Clark have in common? New to You by Xan Arch — We are buying lots of new books. How do we make sure our users know what is available? New Styles for Old Problems by Mary (Tinker) Massey — Tinker is thinking about how we provide information. by Robin Champieux and Steven Carrico — Robin and Steve discuss eBooks. It’s the Platform by Jesse Holden — In 1993, the Internet was still about different technologies specific to certain resources. It’s Academic by Forrest Link — Forrest has been having meetings about Approval Plans among other things. He says that things move slower in academe than in the business world. Urban Studies by Janice Matthews — This column is based on the premise that disciplinary trends may shift, but some classics never go out of style. Not Good at What They Do by Bob Nardini — This is about the twilight of selectors or is it? by Rita Ricketts — This is about Fred Hanks who worked his whole adult life in the Blackwell’s Broad Street Shop. by Michael P. Pelikan — How do we pass on the World’s collective philosophical and cultural heritage when relevance is measured in six-month lifecyles? by Greg Tananbaum — There is a fragile equilibrium between accessibility and provenance.